I’ve been back into yoga for a few weeks after several years absence. And it’s been awesome. It was easy to jump back into plank position and the added stretching of the tight muscles created carrying around my 25 pound squishy baby (totally worth it, but the hunch back is sooo not in) is fantastic. That’s right. 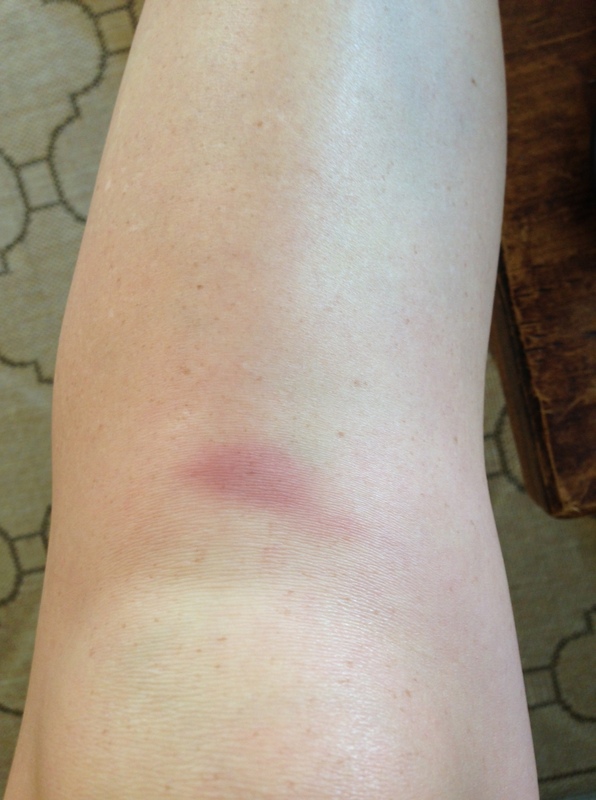 I was the girl who very ungracefully fell over at yoga. And made a nice loud thud as my knee slammed into the wood floor. Thankfully it didn’t hurt all that bad and the class was either into their own pose or chatting to notice so it wasn’t too embarrassing. And I guess better my knee than my head. But until my crow starts looking a little better, I’ll leave the handstands to the professionals. That looks brutal, in fact I was wondering how important is it to actually go to a class versus video to do Yoga. I’ve been doing P90X, the routine is to do a hour and half of Yoga x. I’ve asked my chiropractor and she said it seem to long. Got me thinking, maybe this is not the best option, what do you think. By the way I love your blog it is so refreshing, I look forward to more of your musings. You know, I think it’s worth going to a class once in awhile to make sure you’re doing the poses correctly – but however your’e getting some yoga in is good! I work out with a trainer too and I need that stretching time to make sure I can stand up straight! Thanks for reading and I’m so glad you are enjoying it!